Many people hear the word “marketing” and wonder what the heck it really is and if they should be doing it in their shops. And if they are supposed to do it, where do they begin? The world is changing, and it’s time you sunk your teeth into the power of marketing instead of shying away from it. I’m here to help clear up some of your confusion and set you up for marketing success. Marketing is the process of getting consumers interested in your repair shop and letting the community know that you exist and your shop is where they want to bring their vehicles. I like to also call this branding (look at me, look at me!). Marketing is present in every stage of your business and entails not only drawing potential customers in but also maintaining them so they come back. This can be done in a variety of ways, including online marketing via social media, review sites, SEO (search engine optimization), networking, promotional products, advertising, etc. Now that you have a better understanding of what marketing is on paper, how do you make that real in the life of your repar shop? I would recommend that an owner not attempt to take on the marketing of their shop since the marketing hat is so large and their plate is already so full. Many owners put on that hat and don’t know what to do with it, so they end up tossing it aside and the marketing dies. It’s best if you have someone who is well-versed on marketing strategy help you. If you have an employee on your team who already knows your business and has a basic understanding of marketing and the nuances of the body shop world, then that’s even better! I recommend you use someone who knows marketing because the spokes on the marketing wheel are so numerous that a professional can come in and dial a strategy in pretty quickly, whereas a person without marketing experience is going to be “drinking from a fire hose” and struggling through some rookie mistakes that could cost you while they’re on their learning curve. Not ideal! In order to market successfully, the person in charge of your marketing needs to be able to see what your clientele looks like. Not as in what outfit is he wearing or what color are her eyes, but what kind of vehicles are you typically repairing? Tesla drivers’ expectations are different than Chevy Truck drivers’, so your marketing strategy is going to be different. Are you DRP-driven, dealership-driven, or are you mostly referral-based? What is the median income in your area? What are your customers’ spending habits? Each demographic has their own nuances, and you’ll want someone who can interpret that information and know how to maximize it. You’ll want the person doing your marketing to understand the things you do really well and the things you struggle with. I always feel like I can market my clients the best when I can get into the inner sanctum and truly understand the core of their business. It should truly be a partnership since marketing depends so heavily on metrics and data, and the shop depends on quality marketing to help drive numbers. The biggest mistake I see is when an owner doesn’t know what marketing to do so they fall prey to emotion and solicitors. An owner will get a call from YP.com (yellowpages.com) or Yext or Yelp (oh, you know you’ve gotten a bazillion calls from Yelp!) and talk with a salesperson who convinces them they should spend hundreds of dollars per month in order to be relevant. And they threaten the owners with, “If you don’t advertise with us, you will be missing out on customers because that’s what everyone else is doing.” Next thing you know, you’ve signed yourself up for something you don’t even need and now you’re feeling really good throwing away that hard-earned money. Oops! The other mistake I encounter with shops is when they see that something is hot – such as Instagram or Snapchat – and feel like they should be there. But, in reality, your customers are not going there to find a shop. And unless the shop has a really awesome strategy that is completely outside the box and will have electric results, it is truly of little benefit to spend the time posting there. The money you’re spending (in labor, if nothing else) to have that presence far outweighs any return you’ll see from it. The key to successful marketing is letting people know who you are. Your shop has its own persona. What’s the vibe? What’s the look? What are your core values? What do you pride yourself on? Now go and portray that properly so people “buy in” and use your shop the next time they have an accident. That, to me, is marketing at its core. If it reflects your business, it’s marketing. You may have seen the picture of the coffee shop with the chalkboard sign out front that had their usual specials or greeting on it but also said, “Come in and try the worst meatball sandwich that one guy on Yelp ever had in his life!” This is brilliant! They showed their personality, they thought outside the box, and I’ll tell you what – I would love to meet those guys and try that sandwich myself! But what if a shop doesn’t have the budget for a marketing person? This is not 20-plus years ago where the good ol’ boy way worked. You can’t just sit back and think that if you do your repair work well, cars will come in. Because competition is so aggressive, if you aren’t participating in the marketing game, you will get left out. There are a few of us out there with auto body experience who also know marketing that are available on an hourly or part-time basis. If that fits into your budget, then you may want to go that route. If you don’t have that in the budget, then you’ll need to give one or two of your employees extra time to begin to focus on and chip away at some basic marketing components. Let’s start with the basics. 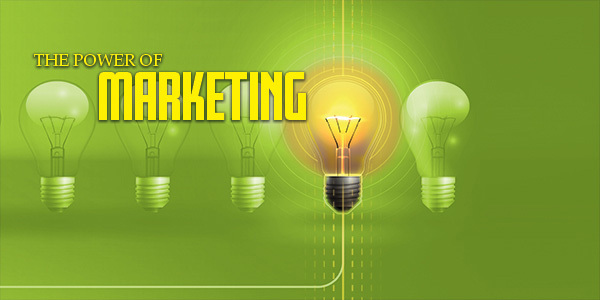 As I mentioned before, marketing encompasses every component of your business. That’s why I wrote “What Women Really Want From Your Automotive Repair Shop” because the second that customer thinks about your shop or steps through the door, marketing has already begun. Since most people’s first impression of you is based on your online presence, you’ll want to start with a nice website along with a Yelp and Google page that has all your correct info and current pictures. You do not need a $15,000-plus website for it to look professional. You can expect a higher-end website to run you around $5,000 to $10,000, and something with fewer frills under $5,000. The most important things are that it looks current with up-to-date fonts, photos and color scheme and has all the important information easy to find (business hours, contact info, address, etc). Next, I would recommend you focus on your actual, physical structure since that’s the first thing a customer will see in person. Is the building clean and freshly painted? Is your parking lot filled with cars going nowhere? If you can at least get those components dialed in, then you can start looking at your “boots-on-the-ground” marketing. You can start looking at marketing to your local insurance agents and dealerships, attending non-profit/community events or advertising locally. How are you communicating with your customers? How do your emails look? Are you taking advantage of text updates through companies that offer this service? How are you phrasing those texts? You can also make sure that all items being sent to or given to customers are all branded and have a consistent look. Your demographic and who you’re catering to will determine your next steps into the marketing jungle. We can get into those steps at another time … if you’re interested, of course. But what about ROI (return on investment)? This is the hardest to nail down when it comes to marketing. The thought is, if the marketing is working, then we should be getting more customers through the door and sales should be rising. Did you know the average person looks at a minimum of three sources before making a decision on which shop to take their vehicle to? How do you directly correlate what vehicles are coming in to what caused that customer to select your shop? There are certain marketing strategies that can be quantified more easily. For instance, if you’re running ads on Google, you can set up a landing page on your site to collect customer info and see conversions there. You can also see how many people clicked on your ad and even how many people clicked to call your business directly. On the other hand, if you create all new promotional products such as revamping your thank-you cards and business cards and implementing reusable bags for customers to put their belongings in, it’s impossible to know how much that mattered when your customer decided to come back a second time. Most often, it’s not just that one thing but that one component along with others. When you’re implementing online marketing, it’s much easier to garner data. With the proper tools, you can see how many people visit your website (Google Analytics), how well your SEO is doing on your site (Google Webmaster or SEMRush), how many people clicked your Facebook ad and went to your website (Facebook Ads) and how many people saw your Yelp or Google info and clicked for more info (Yelp for Business and Google My Business). When it comes to network marketing where you’re attending events and passing out your cards or flyers and stopping by dealerships to chat and encourage that relationship, it’s much harder to wrap your fingers around those metrics. Sourcing is the act of asking your customers why they chose your shop or who referred them – insurance agent, dealership, claim center, friend, Yelp, magazine ad, etc. Sourcing your customers consistently is a powerful tool that your CSRs/front counter employees can implement. This will help you get an idea of where your customers are coming from so you can see if certain tactics increase those referrals or if they’re falling flat and an adjustment needs to be made. It can take a while to see results from marketing. When I joined the Sherman Oaks Chamber of Commerce, it took me a good six months of attending once-a-month luncheons and “getting in” with people so they would start referring potential customers to me. As time went on, the relationships blossomed, new relationships were created and the referrals increased – but it was certainly not overnight or after only one or two luncheons. With network marketing, you must stay consistent. The best marketing for your shop hands down is word-of-mouth reviews. And that’s not going to come from your beautiful tri-fold brochure or executive business card but from quality work by people who care. The best marketer in the world can’t keep pumping business to a shop that fails in customer service and quality. On the flip side, if you add a quality marketing strategy to a shop that repairs vehicles properly and timely where customers leave with a smile on their face, look out world! I’ve worked with businesses that like to keep things very straight-laced and also with businesses that let me go outside the box in some areas to gain traction where more traditional methods aren’t working. Here are some of my favorite marketing ideas that were not only fun but also a huge success! Telesis Collision Center in Palmdale, Calif., participated in a go-kart race where the streets of Lancaster were shut down and all money raised supported the Cure a Child Foundation. We created a fun and adventurous social media campaign to increase engagement, came up with a humorous yet informative radio ad, had a $100 cash giveaway and designed customized pom-poms to give out at the event and also for customers to take home. 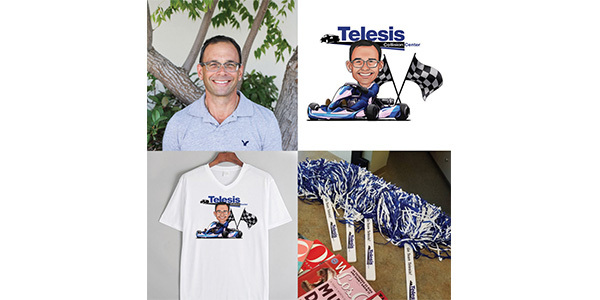 My favorite part was the caricature that I had created of Telesis’ vice president, Greg Cole, who drove in the race. We put it on T-shirts and handed them out to the staff and to customers that came out to the event. The tees were keepers for the fans and customers, and the image was a huge hit since the likeness to Greg was exceptional! 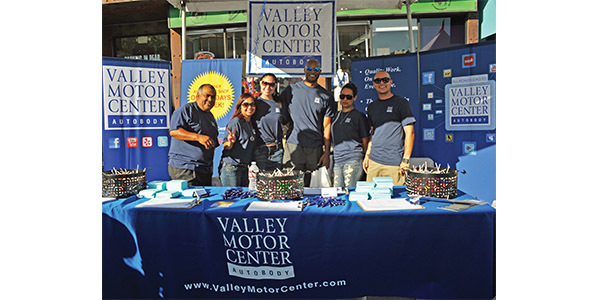 Valley Motor Center participated in the Sherman Oaks Street Fair, which had almost 80,000 visitors. We wanted to make the largest impact possible on the community, but being an auto body shop wasn’t going to draw people to our booth in droves, so I had to create ways to increase interest and attraction and set us apart. In 2015, the reusable bag trend was beginning to ramp up, so we decided it was a good investment to customize reusable bags and hand them out at the street fair. Our booth, as usual, was decked out with large signage, blue and white everything, branded everything, decorations, balloons, etc. We were giving away two iPads, so we had VMC employees walking around with clipboards and reusable bags pre-stuffed with a branded notepad, pen, etc. The iPad giveaway drew people over, which presented a good opportunity to talk with them as they entered to win. While they were there, we gave every person in their group a bag. We gave the kids a bag and helium-filled balloon with our logo on it. Even passersby who had no interest in the iPad giveaway were getting bags. Within two hours, our bags were everywhere! The event lasted more than eight hours. No matter which way you looked up and down Ventura Boulevard, at any time throughout the day, all you could see were those blue Valley Motor Center bags and our balloons flying. We had people coming to find our booth because they wanted the bags that everyone else had. Talk about a huge branding success! At Fix Auto Burbank, we were working on developing agent referrals for one of their new insurance accounts. After marketing the shop to the insurance agents for a few months, the holidays came upon us. We were able to get bulk pricing on candy boxes that were holiday wrapped, which was a great treat for the offices. In addition, I created a custom holiday greeting card with their logo and message on it and made sure to write each agent’s name and their employees’ names on the outside of the envelopes so everyone received their own card to display on their desk or pin up on the wall. 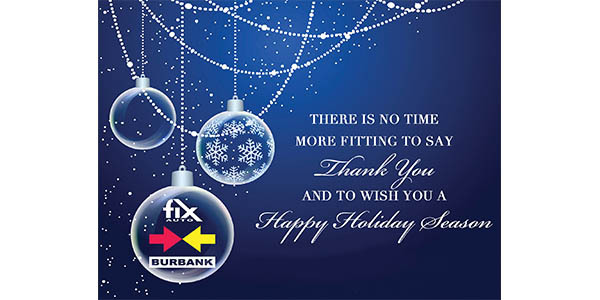 It encouraged the relationship we already made with the employees at each office and, when they put the card up for display and decorating purposes, it was a continued, branded reminder of the Fix Auto Burbank shop. Also, it was good for the clients who came into the agencies to see that Fix Auto Burbank was affiliated with that line of insurance and went that extra mile for their partner. This may not be an auto body shop, but you can learn from the power of a good slogan here. 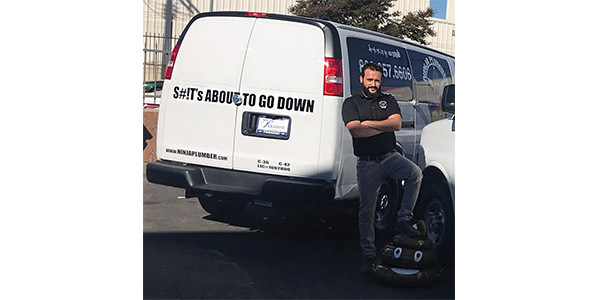 Ninja Plumber’s president, Mor Cazakov, came up with what I think is one of the best slogans ever for his residential and commercial plumbing business that serves Southern California: S#!T’S ABOUT TO GO DOWN. This slogan is on Ninja Plumber’s marketing items and, most importantly, on their service vans. When Cazakov speaks at events, he’s always hysterical with his play on words. Even the more rigid business people and attorneys have to chuckle. I can tell you from personal experience that when one of his vans is parked in front of your house or your business, the slogan soon becomes the “talk of the town” as people giggle, laugh and give the plumbers high fives for making light of something that can be so gross and frustrating.